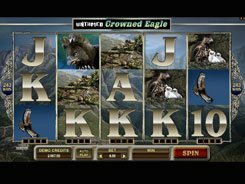 This is a 5-reel slot with 20 fixed paylines. The action in the game takes place at the 13th Police precinct. The detective dog hunts down dangerous criminals and gang leaders to send them to prison for their crimes. The slot’s symbols are Ostrich the Judge, Rhino the Pub Bouncer, Fox the Socialite, Crocodile the Boss, etc. 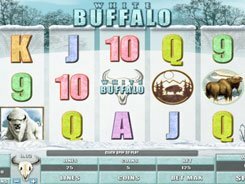 A bet size is adjusted from $0.2 to $100 per spin, which will suit players on a budget and high-limit slot enthusiasts. 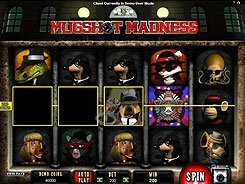 Mugshot Madness features a wild symbol, a scatter, a host of free spins, and the Line-Up feature. 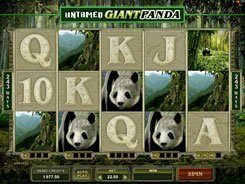 The top fixed jackpot of an eye-popping $100,000 is awarded for hitting five scatters, provided you play at the maximum $100 stake. 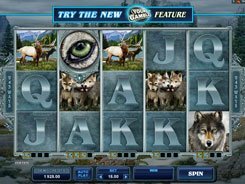 The second-largest jackpot of $10,000 is paid out for five wild symbols. Perhaps the Line-Up feature is the most alluring bonus in the game. 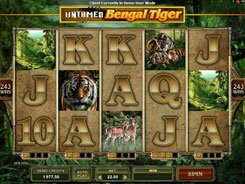 In the Line-Up feature triggered by three or more Sherriff’s Badges you get 15, 20 or 25 free spins. During the free spins you have to capture the crooks by getting them into winning combos. Each criminal comes with a bonus multiplier, and if caught, you get a win of your total triggering bet increased by that multiplier.